← The Smear – Repeated at Last! Steam Train was first climbed as a summer route by Doug Hawthorn and Noel Williams in July 1984 and graded HVS. 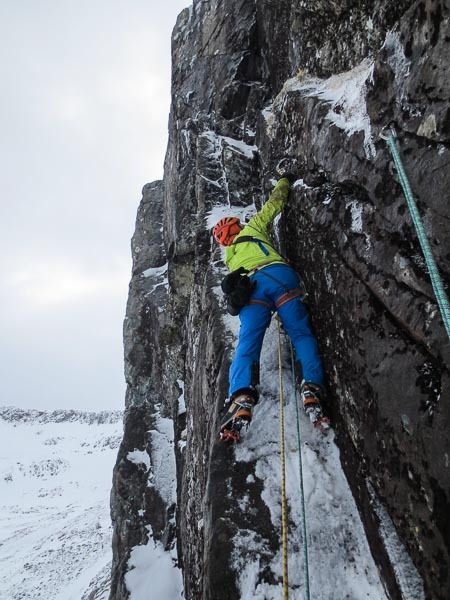 Dave MacLeod and visiting US climber Alicia Hudson made the first winter ascent in 2007 and graded the route VI,7. This entry was posted in Repeats and tagged Ben Nevis, Guy Robertson, Pete MacPherson. Bookmark the permalink.